Claiming to be their most awaited product, Blaupunkt India launched the Cape Town 940, an Android based car infotainment system. It is a double-din multimedia system, that runs a customized version of Android, suited to the needs of the customer. 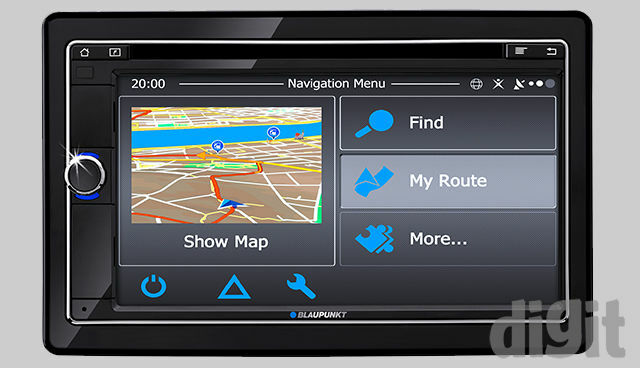 After launching budget car audio systems a couple of months back, Blaupunkt plans to expand its presence in the OEM market with the Cape Town 940, depending on the response of the product in the aftermarket. The radio system has a customized version of Android Jelly Bean 4.1.1 operating system, running inside a 6.8 inch TFT touch screen display of resolution 800x480 pixels. It has a front USB port as well as 3 rear USB ports, an HDMI/HML port and also a microSD card slot. The system is powered by a MST786 Dual Core Cortex A9 processor with 1GB of RAM and 8GB of internal storage. It also has WiFi and Bluetooth connectivity, so that you can connect your phone to the device or connect the device to a WiFi hotspot. The specifications seem decent for a car infotainment system and tries to stand apart based on certain features. The Cape Town 940 is quite ambitious about its Mirror Mode feature that will allow the users to mirror or cast the screen of their smartphone device onto the radio display. With this the user can get the functionality of their smartphone on the radio system, expanding the possibilities of the device. The Mirror Mode can only be established by connecting the smartphone to the radio system using a HDMI/HML cable. The device connects to any smartphone using Bluetooth, regardless of the operating system, to play music. Since the radio system is based on Android, it functions better with Android devices. Blaupunkt India has made a deal with MapmyIndia to provide offline maps on the Cape Town 940, but interested users will have to shell out an additional Rs. 3,990/- for the service. It has a twin Bluetooth connectivity feature where two phones can be connected simultaneously to the radio system. Some cars that have physical buttons to control volume or calls can also be programmed at will inside the device according to their own requirements. The other features include all the bells and whistles of standard car infotainment systems. Physical buttons have been added on the radio system so that users don’t need to search for the button on the touchscreen, one design factor that is worth mentioning. Also there is a safety switch where the system won’t play any video while the car is in motion. 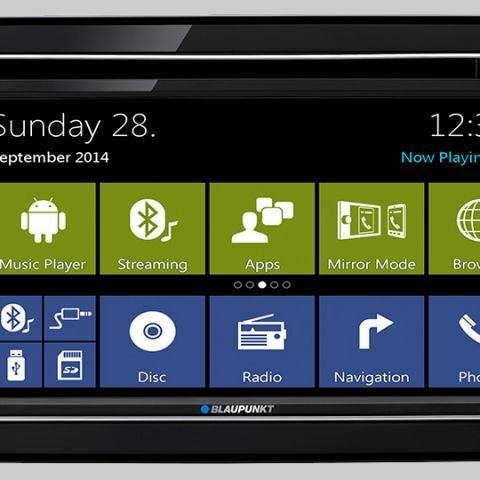 Blaupunkt India has already been developing Android radios for several leading OEMs in Asia and internationally. They have a number of launches planned for the future in this sector, but with the Cape Town 940, they are currently looking into the aftermarket radio systems only. Users who want to upgrade their in-car multimedia systems with a better and smarter radio system is constantly increasing, which Blaupunkt India is aiming for right now. The Cape Town comes with a WiFi USB dongle and is priced at Rs. 54,990/-.